Extreme Motor Sales is always adding new inventory at our retail location. We have a great selection of kids atvs and 4 wheelers. Youth and adult trail dirt bikes from 70cc-450cc. We have the best selection of youth, kids and adult dune buggy go karts. Extreme Motor Sales offers the best variaty of scooter trikes from sizes 50cc-300cc! Our retail location has scooters, motorcycles, helmets, gear, hoverboards, UTVs for adults and kids and more! 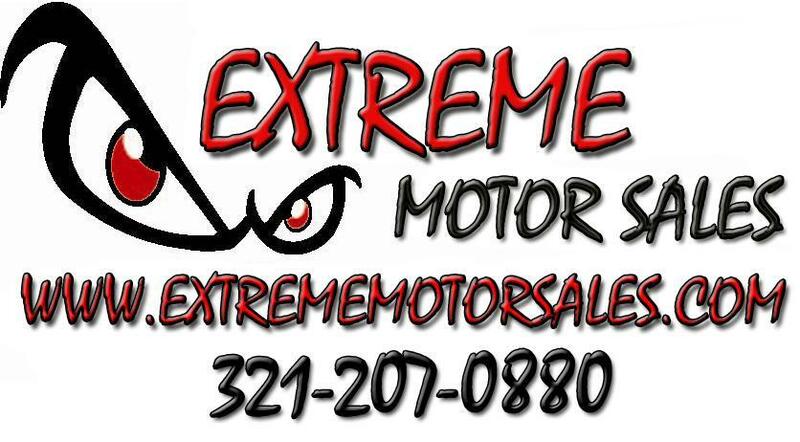 Stop in and see whats new at Extreme Motor Sales 2327 E Semoran Blvd Apopka, FL 32703. American Lifan is back! Known for their strong engines, now its going to be for their new Sport Bike the KPR200. These are the nicest bikes to come out in a very long time. Every detail down to the matte paint has been perfected! Stop by and orders yours today! The new 250cc Enduro's Dual Sport! Why choose? Have a dirt bike and a street legal bike! These top of the line 250cc Motorcycles are just what you need! Shark 250cc starts are $1899.99 and the Brozz 250 is $1999.99. Stop in and see them in our showroom! 250cc Enduro Shark! $1899.99 Plus Tax and Title! The New Bullet 50cc Street Legal Motorcycle Scooter.. Ever heard of the Honda Grom? This is our version of the Honda Grom. 50cc.. means you don't need a motorcycle license either! This is a fully automatic motorcycle without any gears.. it's as easy as driving a scooter! Comes in different colors! Apollo RFZ 125cc Race Dirt Bike Pit Offroad! This is one upgraded bike! Upgraded frame, graphics, seat, shocks and more! 17" and 14" tires give this dirt bike a 32" seat height so it would work for an older youth or an adult! Linhai Bighorn 28 UTV with Independent Rear Suspension, 4x4 and Water-cooled! These come with doors and a roof stock! Upgraded large Aluminum Rims, assist dump bed, digital gauges and upgraded suspension! Add a windshield, Memphis Audio Sound bar or LED light to make your UTV the best on the block! Memphis Audio has done it again! This 20" Bluetooth sound bar is all you need to get your offroad UTV, Golf Cart or powersport rocking! Easy installation, bluetooth ready just pair with your bluetooth device and mount it! We have these in stock at Extreme Motor Sales 2327 E Semoran Blvd, Apopka, FL 32703.